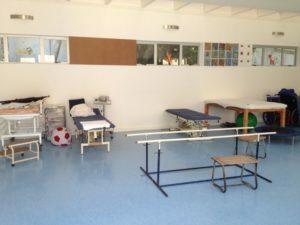 Maitland Cottage Children’s Orthopaedic Hospital is the only dedicated Paediatric Orthopaedic Hospital in the Southern Hemisphere. 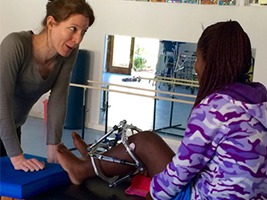 Fractures often requiring long term traction -up to 6 weeks- due to the soft bones of these young patients. Bone TB which requires up to 9 months of continuous treatment and where non-compliance with medication can result in multi-drug resistance. Many children have to be admitted to ensure compliance where this cannot be achieved at home. Orthopaedic disability due to cerebal palsy where orthopaedic intervention is required. 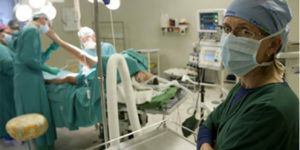 We have a full operating theatre, where we perform over 550 operations per year. We also run a Club Foot Clinic which treats up to 120 patients monthly. The hospital is staffed by dedicated people. Some of the nurses and administrators have been with us for 35 years or more. 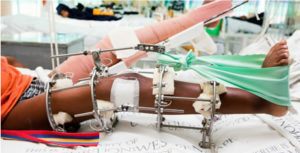 We share the Red Cross War Memorial Children’s Hospital highly specialized clinical team of Paediatric Orthopaedic Surgeons and Anaesthetists who perform many complex procedures in our Operating Theatre. All UCT orthopaedic specialist student doctors, do a 6 month training rotation at our hospital, where they are exposed to all aspects of our very specialized surgery with our orthopaedic surgeons. 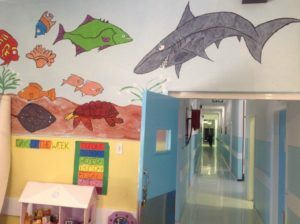 The Western Cape Education Department provides 3 full time teachers for the hospital’s dedicated in-house school. 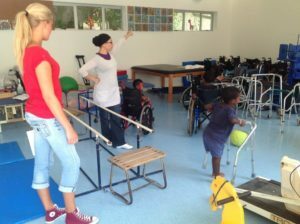 Due to the limited mobility of many of the children, classes are held in the wards with group teaching around beds, with several young patients wheeled together.